1953 | 4:3 | COLOR | Quality: Very Good - Print shows age in some places but very watchable. 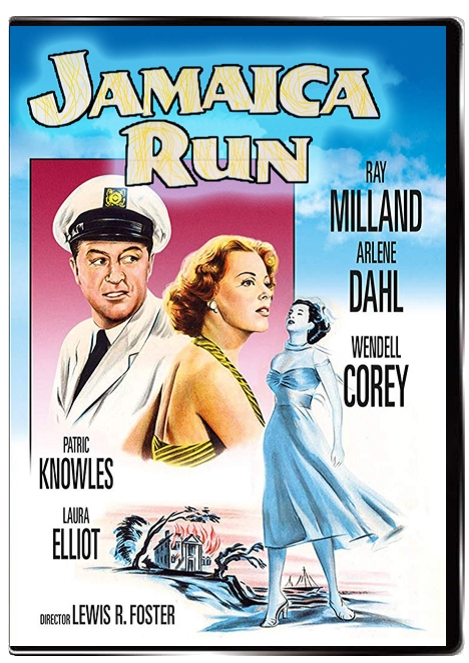 Developer William Montague (Patric Knowles) approaches the well-to-do Dacey family in Jamaica to buy their plantation - wanting to turn the area into a resort. However, the plantation has been in the family for generations and they aren't interested in selling despite the fact they are on the brink of ruin. Among the Dacey family are mother Carroll McComas who sits and drinks and reminisces about the good old days when her husband was alive. Her son Wendell Corey just takes after mother and has become a true wastrel. Only Arlene Dahl who literally and figuratively wear's the pants in the family keeps the place earning some kind of income. A bit later, Montague returns and brings along two distant relatives of the Dacey's along with diver Patrick Fairlie (Ray Milland). Why? Because more than a hundred years earlier, relatives were in the process of buying the plantation and no one was sure if the deal was completed or not. This is because the two branches of the family (those buying and those selling) had met on a ship that subsequently sank - and no one survived to tell whether money had changed hands or the contract signed. 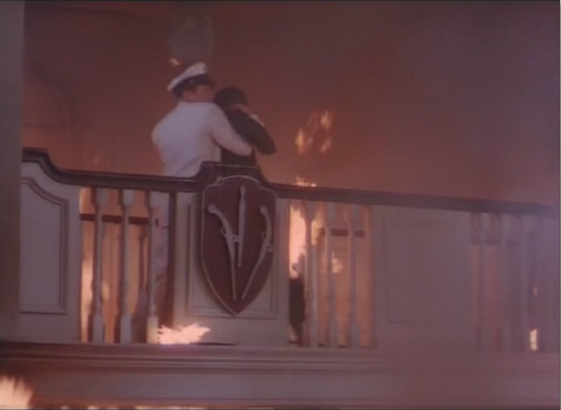 Now, Knowles' character proposes to have his diver explore a ship wreck to see if proof can be obtained. With so much at stake, it's no surprise when a murder occurs. But who is responsible? And, what happens when a treasure chest IS found? 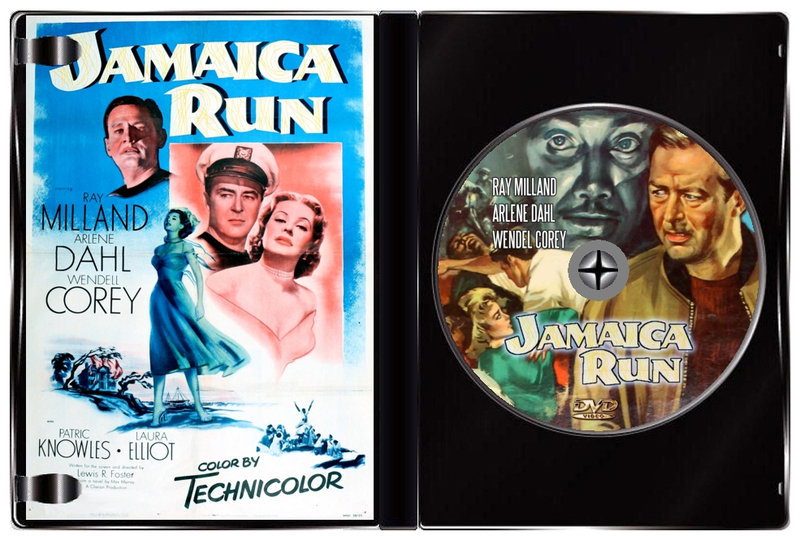 Jamaica Run has come down to us as the film where Errol Flynn's estate was used as a location. 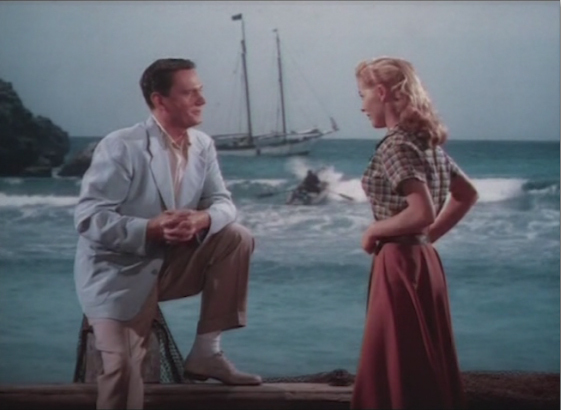 Although none of the main cast were filmed in Jamaica, their stand-ins did all the stuntwork and long-shots on location. From the looks of it, Errol lived pretty well, but he was getting money from Paramount to film there because the IRS was on his case pretty bad. It's the closest Flynn ever got to doing a film at the white mountain studio. 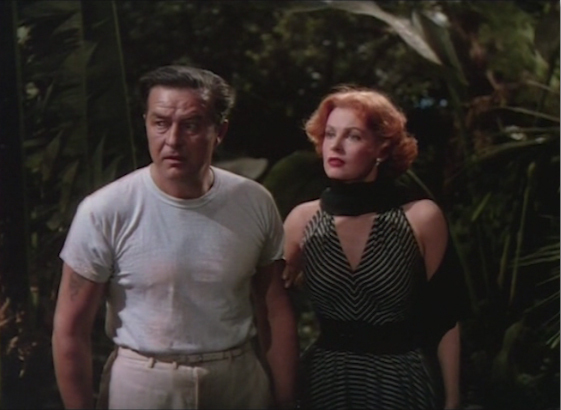 Cinematographer Lionel Lindon's work, using the Technicolor process that may still have been three-strip (around the time the transition was being made to a single strip negative), is excellent and is principally aided by the ravishing red-headed beauty of Miss Arlene Dahl. 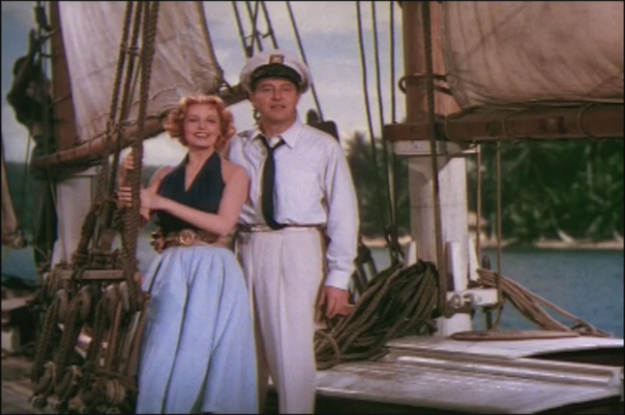 Ray Milland does well as a charter boat captain who once tried to marry into the Dacey clan who own a large plantation that is going to wrack and ruin.